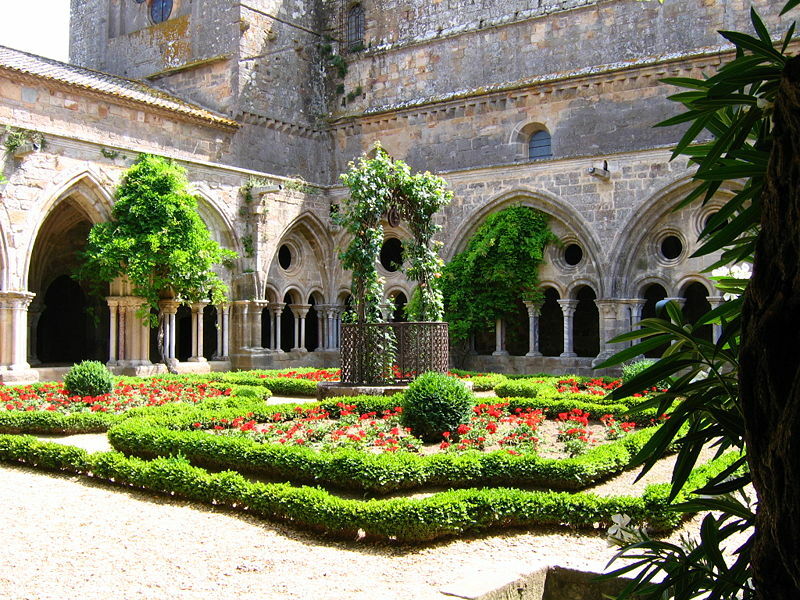 Founded in 1093, the abbey of Fontfroide in 1145 relates to the Order of Citeaux. She quickly became one of the richest Cistercian abbeys in Europe in 1151 and soon swarms in Catalonia (Poblet). The abbey is situated in the heart of the Fontfroide Massif which is made up of 4,000 hectares of unspoilt natural landscape. This glorious collection of Cistercian buildings, bathed by the waters of the Fontfroide stream, nestles in the heart of a typically Mediterranean landscape. During the Albigensian Crusade, Fontfroide stood firm as a bastion of Catholic orthodoxy against the Catharism that it vigorously strove to suppress. In 1908, after the departure of the monks, the abbey was bought by Gustave and Madeleine Fayet. Inside the abbey walls, the terraced gardens, planted on the hillsides are open to visitors (depending on the season). Inside the abbey walls, the terraced gardens, planted on the hillsides are open to visitors (depending on the season).